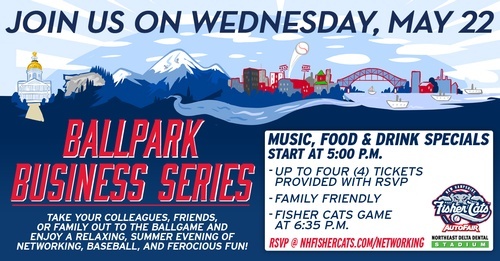 Join fellow members of the Souhegan Valley Chamber along with members from Nashua, and Merrimack Chambers of Commerce for mega-networking, great food and baseball! Put this on your calendar, it's always a great time! Enjoy free hotdogs, raffles, tours and drink specials in the Samuel Adams Brewhouse! CLICK HERE TO REGISTER FOR TICKETS!